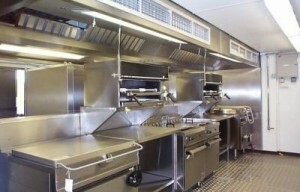 Total Fire Safety Unlimited will inspect, test and service your Kitchen Suppression System. Kitchen Suppression Systems are required to be inspected on a semi-annual basis as a minimum requirement of NFPA. Our highly trained technicians can inspect, service, and recharge all types of kitchen hood fire suppression systems. Our system will keep a record of when inspections are due so you never have to worry about being delinquent on required inspections.